Knysna Yacht Company 440 One owner. Never chartered. 4 cabins version. 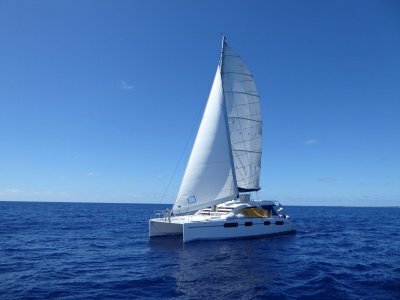 'Lauren Grace' is a one-owner, immaculately presented cruising catamaran designed and built to the highest standards in South Africa, close to the Leopard Catamaran's factory and with similar criteria in mind with regards to ensuring maximum safety and seaworthiness in the challenging Southern Ocean. Unlike many production yachts, the Knysna is not mass produced, but built by a boutique-style company which puts high value in one-on-one customer satisfaction and meets the most stringent criteria. This philosophy is obvious when stepping on board 'Lauren Grace', which was clearly built with strength, durability and attention to detail in mind. 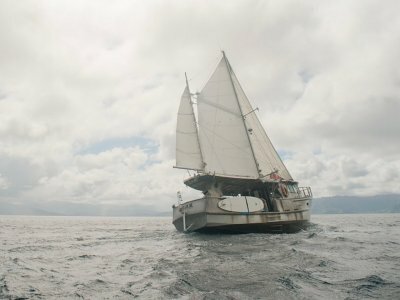 The Knysna Yacht Company is based in Knysna, (the K is silent), famed for the dangerous entrance to the Lagoon known as the Knysna Heads, and being situated on the East Coast of South Africa on the Indian Ocean; our yachts are tried and tested in some of the world's most challenging sea conditions. 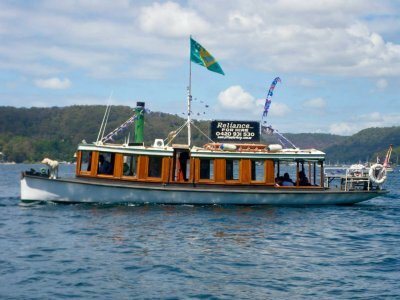 Launched via her elegant transoms, 'Lauren Grace's first feature is her teak cross-running transom, which is fitted with snap shackles and where the dinghy can easily be launched and retrieved. There is a solid outboard bracket designed to accommodate a large outboard in upright position when on passage. Moving back on deck, which is easily accessed and safe to manoeuvre in all weather with good non-skid and higher than normal lifelines, the impression of space is breathtaking. One can easily forget that the boat is only 44' long, the amount of usable space is simply amazing. 'Lauren Grace' is freshly painted, and her hull, topside and decks are in really beautiful condition. 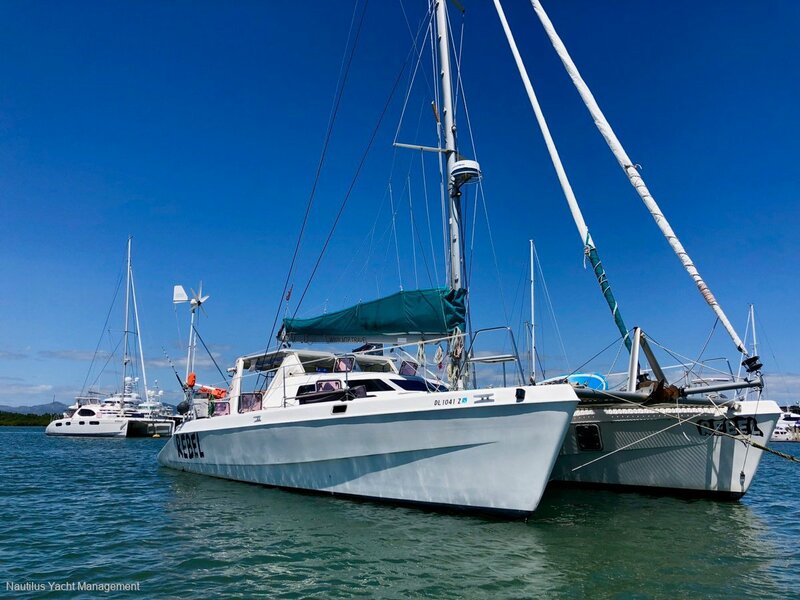 She has been the home of her owners since launched, and has been lavished at all time the respect and attention one can expect from cruising owners, who devote themselves to full time caring for their beloved boat, unlike boats normally sitting in marinas between long period of disuse. She is ready to be passed on to her new family in outstanding condition, and with the benefits of her current owners' gentle counsel should you wish for a little guidance to smooth the transition to life aboard, whether you would prefer to remain exploring the 300 paradise islands of Fiji (the boat is imported and can remain here indefinitely), or if you would like to get ready to continue sailing around the world. For someone thinking of investing in a lifestyle with an additional source of income in Fiji, 'Lauren Grace' would also be a very good option to operate as a charter vessel, as she offers many characteristics suitable for the charter industry. Two Yanmar naturally aspirated diesel engines, model 3GM30 (27 hp). Engines have 3,873 hrs (port) and 3,889 hrs (stb). SD20 sail drives. Motors/sail drives in excellent condition. Numerous engine spares. 9 knots under motor. 18 knots under sail recoreded reguarly. 2X200 liter fiberglass tanks pool coated for better taste. 15hp two stroke Yamaha outboard. Excellent working order. Full cockpit weather covers (clears in very good condition). Good condition lazy bag for mainsail. UV strip for Genoa. Dinghy protection cover. Spacious saloon with ample seating, open to galley down, large table for charting a course. Generous navigation station with full instrumentation at a glance. This space is ergonomically designed and spacious allowing for proper control and observation of important electronic information. Large windows allow you to keep a panoramic eye on all horizons and deck activities. Nav station: This space is ergonomically designed and spacious allowing for proper control and observation of important electronic information. Large windows allow you to keep a panoramic eye on all horizons and deck activities. Helm: Fully equipped allowing full view of the entire deck and sea conditions while protecting the helmsman in comfortable seating. Back deck: Spacious and convenient large back steps and dive platform for diving and swimming or just relaxing with a fresh water shower close at hand. 4 cabins and 2 heads / shower version. Master stateroom has ensuite head / shower with small bath tub. Second stateroom has large head / shower. One more hot and cold shower on deck. 2 heads/showers. Additional shower on deck. Ergonomically designed, located in port hull, new 3 burner gas stove, side opening 12v refrigeration at counter height. 12v Freezer, double fiberglass sinks, under counter lighting and ample storage throughout. Galley is open to the salon so crew can still remain in the conversation. 3 burner LP gas stove (2 years old, SMEV brand). Yes. Hot water throughout. Engine heat exchanger. Lofrans 1200 rope/chain anchor windlass, 100 meters grade 4 chain with Delta 55 lb anchor, 45 lb CQR, and Fortress 23 alloy Danforth designed anchor. Ample gear to set all anchors. All Cat 1 Safety gear. 12V and 110V. Transformer for plugging into 240V shorepower. Solar: 6 solar panels on bimini roof for a total 570 watts easily keep the AGM batteries at peak charge. 50 amp heavy duty Blue Sky solar regulator. Furuno 24 mile radar, Garmin 70S 7" chart plotter with full charts of Fiji, NZ, eastern Australia, and other Pacific Island groups, Icom VHF, Icom SSB/Ham radio. AM/FM radio. Raymarine auto-pilot. Link 2000 charger/inverter. Wind speed indicator at helm is not working at present. All other electronics working properly. Roller furling genoa in new condition. New screecher sail on roller furling mounted on bowsprit. Main sail original but still in good condition and all sails ready to use. Stored in stack pack configuration. Mast and spars by Sparcraft, South Africa. New stainless steel standing wire rigging throughout in 2016. Boat presented immaculately. Boat is sound, clean and will pass survey with flying colours. New rigging 2 years ago. New AGM batteries. Near new sails. Near new covers and clears. Log books and maintenance records kept for everything. Huge amount of parts and accessories. 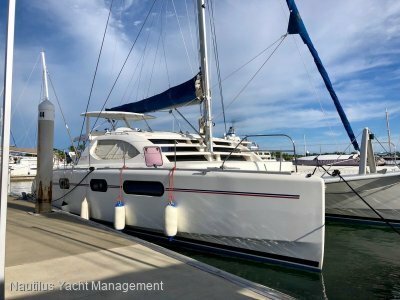 Haul-out conducted in May of 2018 replacing sail-drive zincs and 3 coats of Resene AF4000 semi-hard antifoul paint.